"It hasn't been canceled, so please relax," said Tekken X Street Fighter producer Katsuhiro Harada. At this year's San Diego Comic Con, Bandai Namco went all out on a Tekken 7 panel, revealing details on gameplay, character designs, and story for the newly announced game. But what about that other Tekken game that's been in development hell for the better part of four years now: Tekken X Street Fighter? Well, fans can rest easy, as producer Katsuhiro Harada assured us that Tekken X Street Fighter is, in fact, still in development, and that he is waiting for the "right time" to release it. Responding to a fan query, Harada said the fighting game crossover is "still in development and it's still moving forward." He added that "It is proceeding. It hasn't been canceled, so please relax," and explained that the biggest thing holding up the title was with all the games the fighting game teams have in development - Tekken Revolution, Soulcalibur: Lost Swords, Rise of Incarnates, and now Tekken 7 - he is waiting for the "right time" to release it. The last we heard of Tekken X Street Fighter was back in August, 2013, where Harada was again assuring fans that the game had not been cancelled. 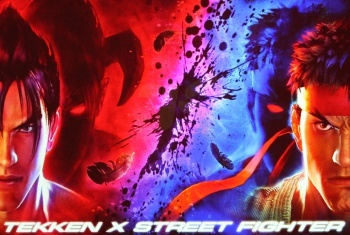 Tekken X Street Fighter was announced back 2010, as part of a collaboration between Namco Bandai and Street Fighter publisher Capcom. Two games were to be producer by the collaboration, a Street Fighter-style fighter titled Street Fighter X Tekken (which was actually released in 2012) and of course Tekken X Street Fighter, which is to use a Tekken fighting engine. It's been almost four years since we've actually seen anything from this title, which means that despite Harada's assurance, we can file it under "vaporware" for now.